Public Notice is hereby given that a Public Hearing will be held on Monday, October 2, 2017 at 4:00 pm in the Town of Osoyoos Council Chambers located at 8707 Main Street. 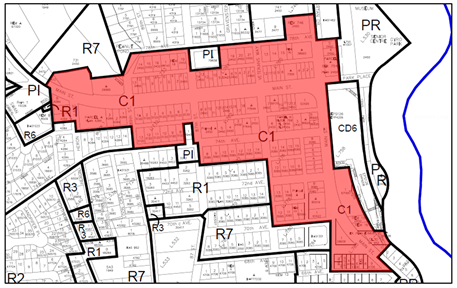 Council will receive input on Zoning Amendment Bylaw No. 1085.104, 2017, which received first and second readings on September 5, 2017. Notice is also given that a Special Open Meeting of Council will be held immediately after the Public Hearing if Council wishes to give the Bylaw further consideration. Bylaw No. 1085.104, 2017 proposes to add “indoor recreation commercial” as a permitted use in the C1 – Downtown Commercial zone. All persons will be given an opportunity to be heard and/or present written submissions on the matter above. Written submissions can be mailed to the undersigned or emailed to info@osoyoos.ca (The Town will only guarantee that emails received to this address will form part of the Council Agenda). The entire content of all submissions will be made public and form a part of the public record for these matters. The deadline for written submissions is 12:00 pm (Noon) Friday, September 29, 2017. Copies of the proposed Zoning Amendment Bylaw No. 1085.104, 2017 may be reviewed by clicking on the link below or at the Department of Planning and Development Services, located at 8711 Main Street from 8:00 am to 4:00 pm, excluding lunch hours from 12:00 pm to 1:00 pm and excluding Saturdays and Sundays.